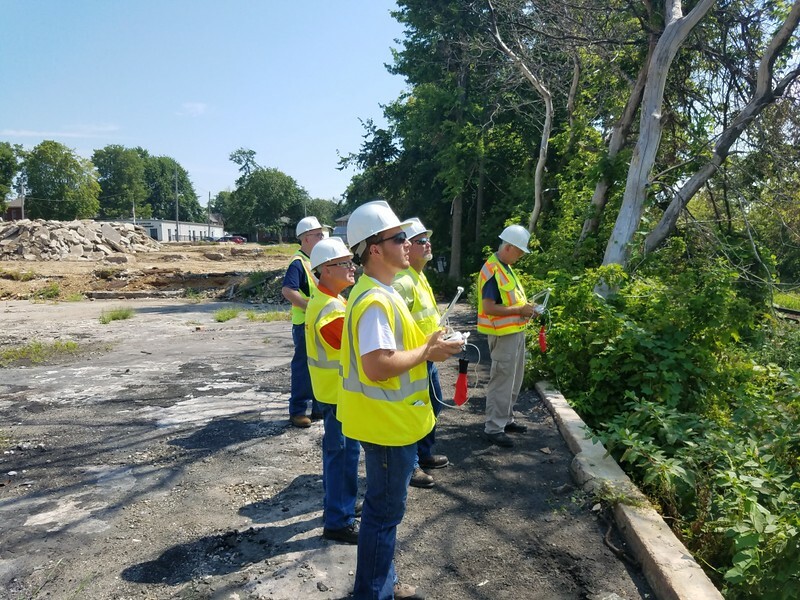 Indiana State University senior Grant Hosticka spent the summer building connections and working with drones for the largest electric utility in Illinois. The opportunity with Commonwealth Edison came about from a family friend, who works at ComEd and told Hosticka that the utility had started using drones and that he should apply for an internship. "The initial legwork involved reaching out to my now current manager at the company with my resume, cover letter and examples of my work, with help from the Career Center," said Hosticka, an unmanned systems major. "I actually ended up getting the call for an interview during the middle of Tandem practice." Since ComEd is one of the nation's largest electric and gas utility holding companies, each day at ComEd was filled with a rich learning experience for Hosticka. "My responsibilities are always changing depending on the day," Hosticka said this summer. "Right now I am working on getting a couple drone systems up and running. 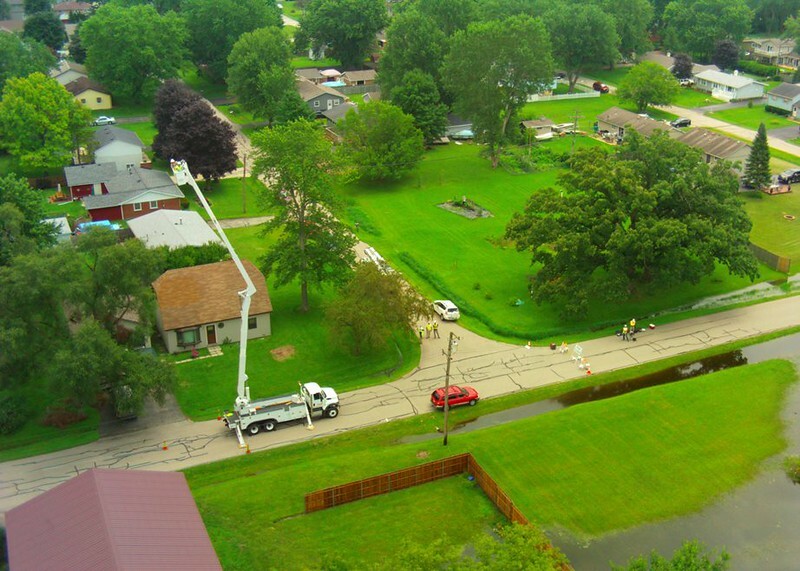 Last week, I was vetting a contractor who wanted to use drones while doing work for ComEd. Ultimately everything I have been doing relates to drones, which is awesome." Seeing a drone go up in the air always puts a huge smile on Hosticka's face, so all the duties he had with drones is one of his favorite parts of the experience. "Honestly, I had not expected some of the workdays I've had," Hosticka said. "A few days ago, I was up 75 feet in the air in a bucket truck so I could keep the drone in my visual line of sight (a FAA rule), and then shortly after that, I was being escorted around a nuclear generation plant by armed guards to test their security system with drones." Although Hosticka has gained a lot of knowledge and experience interning at ComEd, the utility experience has taught him an especially important value about his field. "One of the biggest takeaways I've learned this summer is that even though drones are cool, executives aren't just going to give you the go-ahead," Hosticka said. "You need to prove how you are going to be safe, what the possible benefits are and how cost savings could be realized." One of Hosticka's early experiences with drones was producing videos with friends. He knew drones could be used for inspections purposes but never thought he would be working for a utility company. "I've had an opportunity to go on missions that have certainly built on what I thought drones could do to help a utility," Hosticka said. 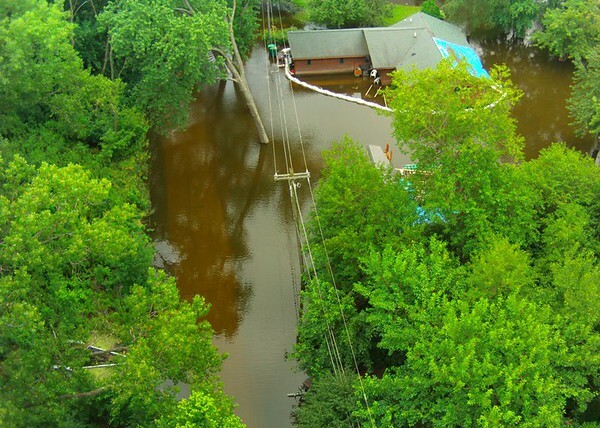 "Some of my missions include the right-of-way dumping beneath and near transmission lines, wildlife assessment, inspection of lines inaccessible by foot, substation inspection and high-resolution imagery of equipment." Hosticka tapped a lot of his classroom lessons, too. "I used ArcGIS to map photos from a mission, which I knew how to use because of a GIS course with Dr. (Stephen) Aldrich," Hosticka said. "Bruce Welsh really helped me understand weather for drone missions and professionalism when developing presentations. Dr. (Troy) Allen gave me a great background in aviation law, so I was well informed when asked to comment on pending legislation by external affairs at the company. And finally, Sam Morgan has helped develop my overall understanding of drones and Part 107 (commercial drone regulations)." Bruce Welsh, assistant professor in the aviation department, has similar high marks for his student. "It has been a pleasure having Grant in my classes. He is a hard worker who is focused, dedicated, courteous and professional," Welsh said. "His work is always completed professionally and his academic grade truly reflects his dedication and perseverance to a career in the aviation industry. He is respected by the students in our department and especially by the aviation department faculty." In his last year at Indiana State, Hosticka hopes to continue to improve his skills, connect and take advantage of more opportunities as they present themselves. While Hosticka isn't quite set on a specific career path just yet, one thing that's for certain is having Commonwealth Edison on his resume won't hurt. "I could certainly see myself working with a drone startup that I believe in," Hosticka said. "I'm attending the Drone World Expo this October in San Jose, Calif., and hopefully it will enable me to make more connections and decide on a specific path." Grant Hosticka worked for Commonwealth Edison, one of the nation's largest electric and gas utility holding companies.